Detail from The Angelus (1859), oil on canvas by French artist Jean-François Millet (1814–1875). Courtesy Musée d’Orsay. The painting depicts two peasants working in a potato field and pausing to recite the Angelus, a Catholic prayer said in early morning, at noon, and in the evening. In the distance a church bell rings the end of the workday. Both Millet and this painting are central to Mark Twain’s satirical story. For this week’s Story of the Week feature we present a satire by Mark Twain that, in strange and surprising ways, connects him to a painter whose artwork shattered auction records; the tycoon who donated the copper for the Statue of Liberty; the author of Dracula; the actress best known for playing Glinda, the Good Witch of the South; two theaters 3,500 miles apart named the Lyceum; and a moderately successful Broadway play that made its debut in 2007. At the end of the nineteenth century, still hoping to write a hit play, Mark Twain took a story he’d written six years earlier and adapted it for the theater. His attempts to get it staged turned into a frustrating travesty, in no small part because the play in the form he wrote it would have been virtually impossible to produce. Among its many problems: Twain had written roles for over fifty characters who, for one scene, would need to be on the stage simultaneously, making any doubling of actors impossible. “I started in to convince myself that I could write a play or couldn’t,” he wrote after admitting defeat. “I’m convinced. 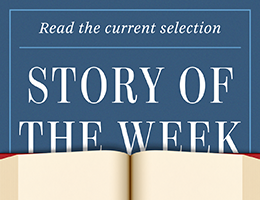 Nothing can disturb that conviction.” In our introduction to this week’s selection, “Is He Living or Is He Dead?”, we detail the curious story behind the story Twain published 125 years ago.